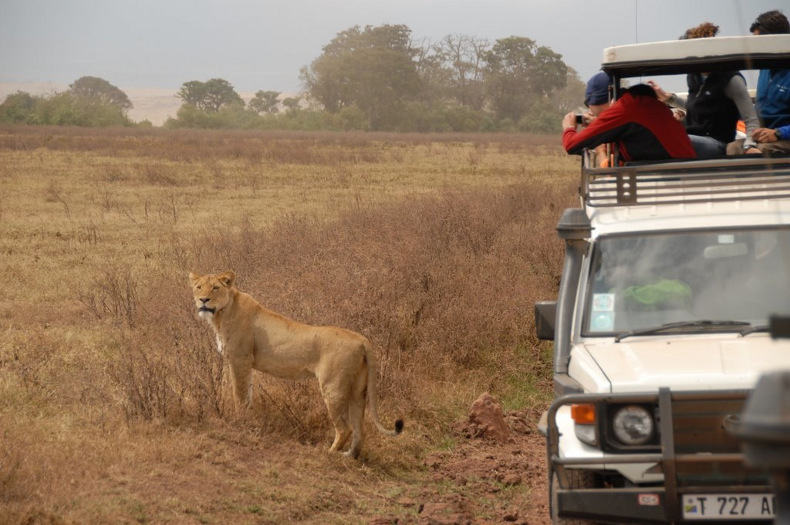 Extend your adventure to include the extraordinary Safari for just $1500. The combination of Alpenglow's internationally certified guides and the premier Tanzanian logistics coordinator give you the highest possibility of safety and success. Experience every ecological zone in the region and minimal crowds on the Rongai Route. The summit of Kilimanjaro stands at 19,341 feet (5,895 meters), the highest point in all of Africa and one of the famed Seven Summits. 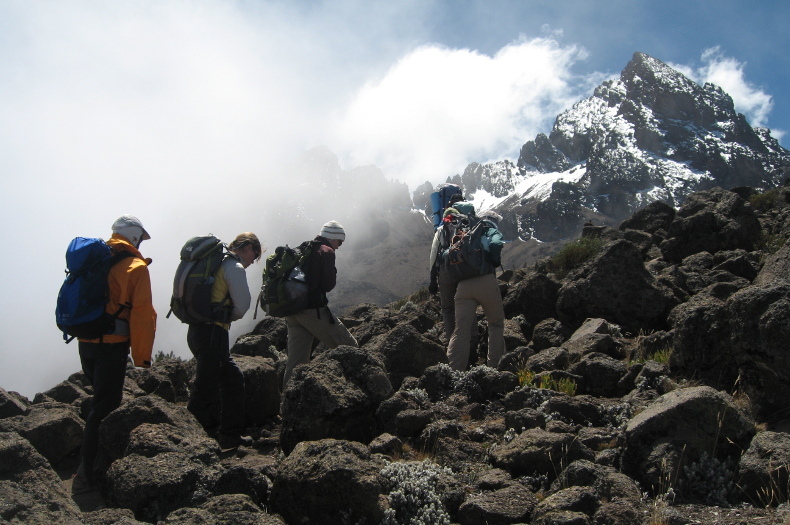 Our expedition travels away from the crowds by climbing the Rongai Route. While somewhat longer than the busier routes, the trek is stunning. As it climbs from the trailhead at 6,000 feet (1,829 meters) to the summit, it passes through every ecological zone found in this area of East Africa. You begin in rainforest, pass through alpine pines, then into grassland, alpine tundra, and eventually the barren world of the crater itself. 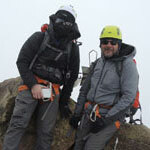 And over the first 5 days on the mountain, you will see few other climbers or camps. 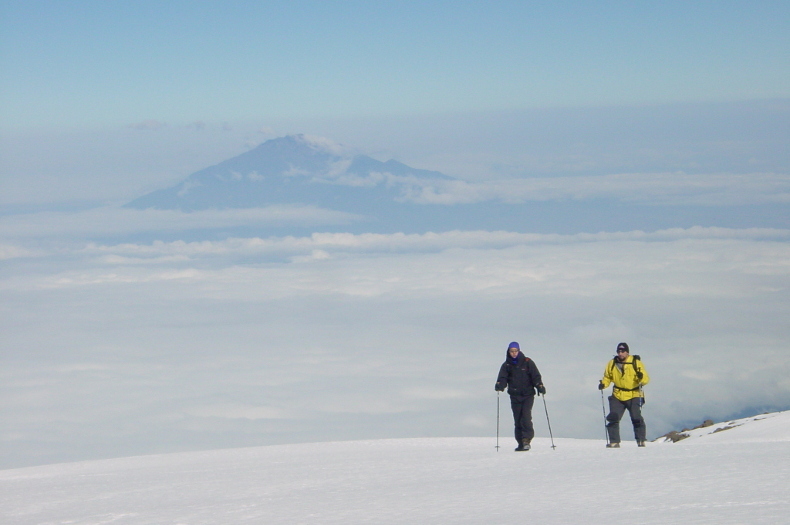 Kilimanjaro is the perfect place to experience climbing a high-altitude peak without needing years of experience or training. While the days can be strenuous, our route is non-technical (there is no rock climbing, ice, snow, or ropes). We will also be assisted on our climb by a stellar team of local Tanzanians acting as porters, kitchen staff, and local guides. 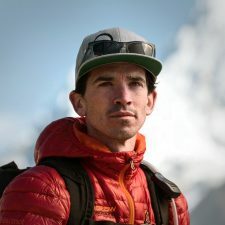 Their experience and local knowledge will not only make your trip more comfortable (each day you carry only a light day pack, and the food is hearty and tasty), they will also add to your understanding of this mountain and the local people. 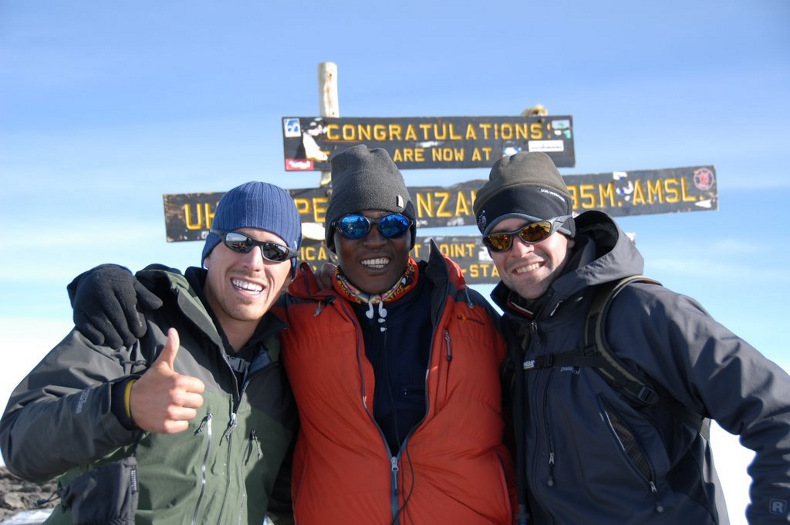 Summiting Kilimanjaro is a proud and attainable accomplishment (our teams have over a 90% success rate on this mountain). The climb and summit are only half the fun of this expedition. After descending the Marangu Route on Kilimanjaro (on the other side of the mountain from our ascent), we say goodbye to our Tanzanian mountain staff and meet our safari guides and Landcruisers. Safaris in East Africa are unparalleled in the world for seeing big game and huge herds. For us, it is the perfect way to pamper ourselves after the hard work on the mountain. We spend three full days exploring two of Tanzania’s most famous game parks –Ngorongoro Crater and the Serengeti. Nights are spent in luxury eco-lodges inside the parks, while during the day our local guides will help us to find and better understand the incredible wealth of big game. 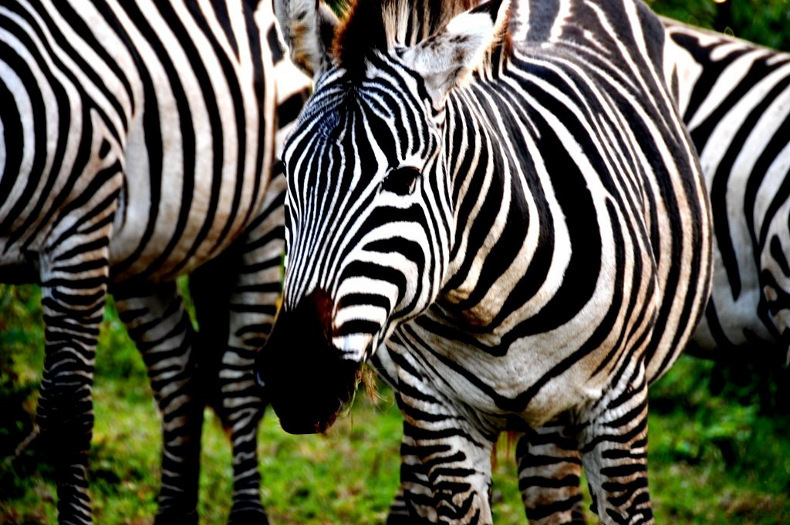 We will see huge herds of zebra and wildebeests and also spot more solitary animals like giraffes and cheetahs. With three days of safari we will experience most or all of the “big five” animals – lions, leopards, rhinoceros, cape buffalo and elephants. 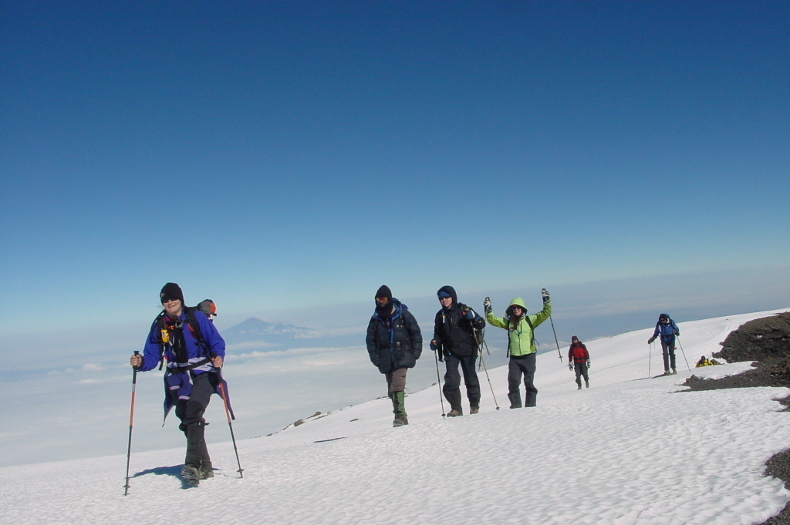 While many tour companies take groups on Kilimanjaro, it is important for you to understand the difference you are choosing by climbing with a mountaineering guide service and with certified guides. Our itinerary allows ample time to acclimatize so that you can actually enjoy this peak (we take seven days when many companies take only five). Our guides are full-time mountain professionals which means they understand the hazards involved in climbing a peak this big. 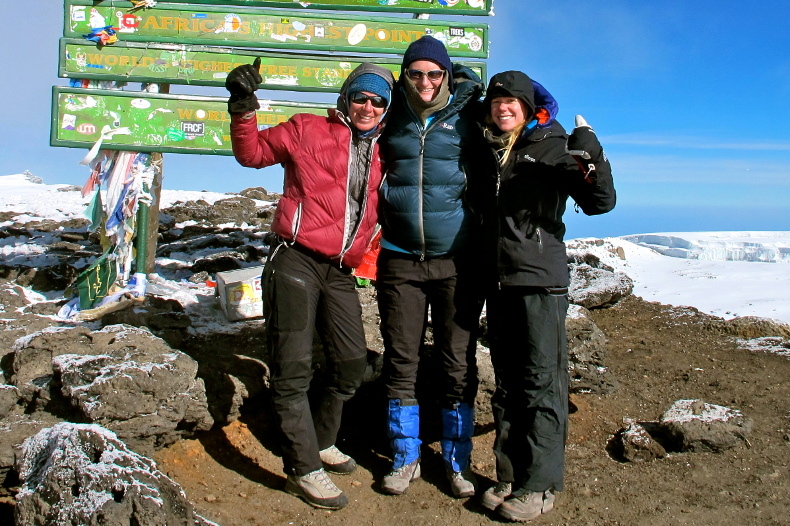 While the route itself is not technical, Kilimanjaro is still a very serious undertaking. 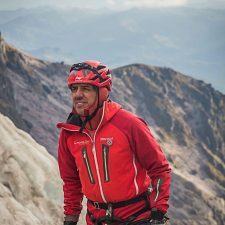 Accidents do occur each year on the mountain, and generally they are on teams without experienced western mountain guides. Choosing to travel with Alpenglow Expeditions will increase both your safety and your enjoyment of Africa’s tallest peak. 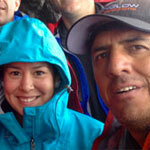 Our Kilimanjaro Expeditions will be led by one of Alpenglow’s AMGA certified lead guides. 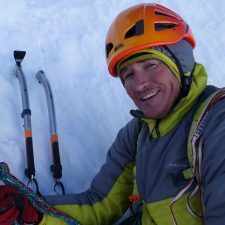 AMGA (American Mountain Guides Association) certification is the highest possible training available to guides, and only the most experienced and dedicated attain it. 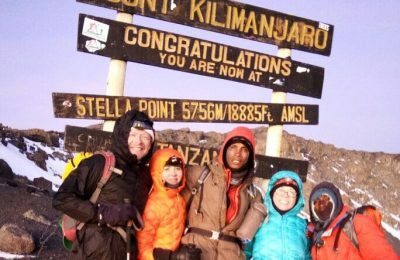 Our lead guides have been climbing and guiding around the world for at least a decade, including multiple trips to Kilimanjaro. We combine our North American guides’ experience with the local expertise of one of Tanzania’s best climbing and safari logistics operators. This ensures we have the best in private transportation, food, naturalist guides, and lodging and that your experience will be one you will never forget! Trekkers must be in great physical shape to join this expedition. This is perhaps the most important aspect of high altitude trekking, and cannot be stressed enough. Regular, challenging exercise for many months in advance of departure is the only way to gain the necessary level of fitness that is needed. Please contact us for more information on physical training. No prior experience at altitude required. Arrive into Kilimanjaro International Airport in the evening, where you will meet your guides. Transfer to our hotel in Arusha, at the base of Kilimanjaro, where we have a team dinner. In the morning we explore the local villages that surround the base of Kilimanjaro. In the afternoon we hold our first team meeting, and organize our gear for the climb. Drive to the Rongai trailhead, with stunning views of the mountain along the way. Once there, we meet our Tanzanian porters and staff, organize loads, and then begin our climb through lush forests. Four hours of walking will take us to our first camp, at 9,500 feet (2,696 meters). Our 6 hour hike takes us out of the humid forest and onto a stunning ridge with our first views of the upper crater walls of Kilimanjaro. The trail continues climbing on this ridge to our camp at 12,000 feet (3,658 meters). Today is a five hour hike to the Mwenzi Tarn. This camp is a favorite with our groups. 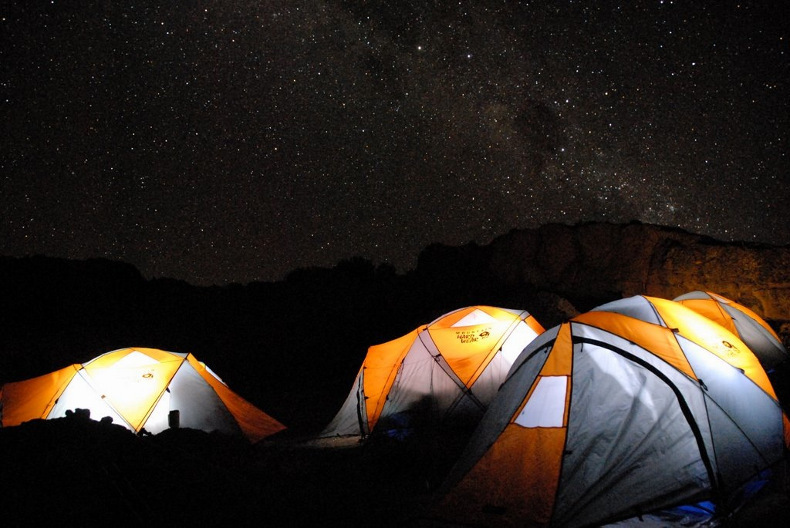 The camp at 13,000 feet (3,962 meters) is next to a small lake and below the Mwenzi Towers, with unbelievable views of the entire summit cone and our route to the top. Today’s hike takes us through the last of Kilimanjaro’s vegetated zones and into the barren alpine world of the upper mountain. 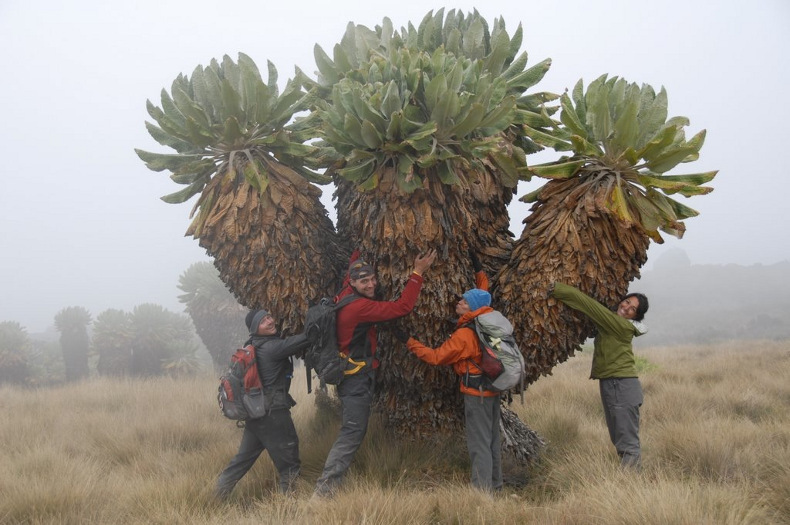 A four hour hike takes us past species of plants found only here on Kilimanjaro’s upper flanks, and ends at our camp at the Kibo Hut, at 15,500 feet (4,724 meters). This camp is the staging point for many teams’ summit push. 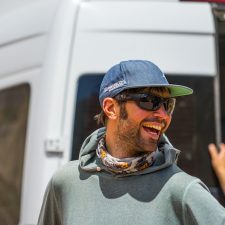 With so many other climbers here, the camp has a true international feel. Today is an important additional acclimatization day. We wake up, eat a good breakfast, and go for a 2-3 hour hike to a bit over 16,000 feet (4,877 meters). This dramatically aids in our acclimatization, and gives us a perfect view of our summit route. We get back to camp early, and spend the afternoon resting and preparing for our summit attempt. Summit Day! We wake around midnight for a hot drink and snack and then begin our climb. The first 5-6 hours are steep and we occasionally scramble over rocky sections (no ropes or technical experience are necessary) as we ascend the crater wall. Around sunrise we top out on the wall at Gilman’s Point and step onto the crater. 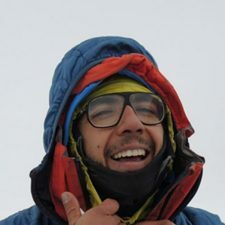 The route from there crosses the small crater glacier and then ascends easily to the true summit, the highest point in Africa at 19,341 feet (5,895 meters)! Our descent is via the Marangu route. After at least a 12 hour day we will set camp at 12,000 feet (3,658 meters). Six hours of easy descent take us through the Marangu’s lush rainforests (a completely different ecological zone than we saw on our ascent) to the end of the trail (6,000 feet/1,829 meters) and our van. We return to our hotel for much needed showers and a celebration dinner. Those who only have time for the climb fly home after dinner however, we highly recommend our safari, an unforgettable East African experience. A 3 hour drive in the morning takes us to the Ngorongoro Crater. Ngorongoro holds the highest concentration of big game anywhere in Africa. It is an unbeatable place to see herds of wildebeest, zebras, antelope, and buffalo, along with the predators that feed on these herds – lions, cheetahs, and leopards. It is also one of the better places to spot rhinoceros. We will return to our hotel on the rim of the crater that evening. Today we drive to the central Serengeti to continue our Safari. We end our day at a luxury tented camp in the central Serengeti. An early morning wake up call for a half day game drive allows us to explore at best time of the day when animals feed. An afternoon bush plane flight brings us back to Arusha in time for evening flight out. 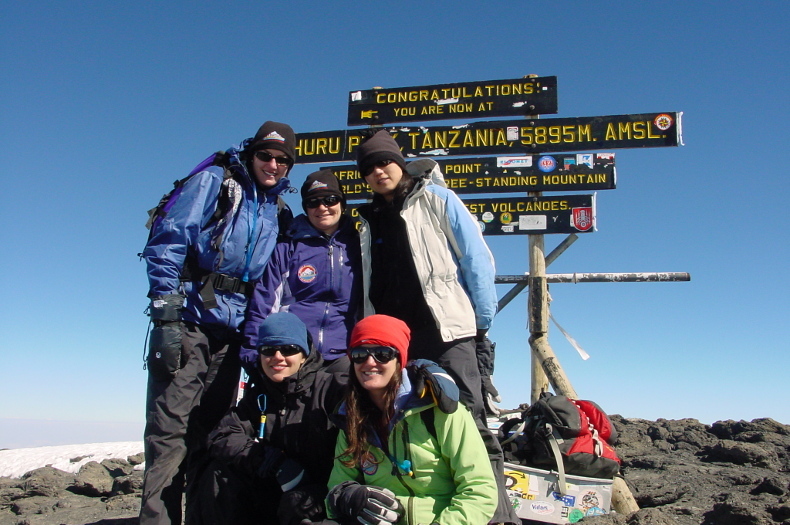 Would you consider doing a custom Kilimanjaro expedition? We always welcome custom inquiries. Nearly 50% of Alpenglow’s expeditions are customized.